When it comes to partners for airfield projects, the recent match between Cape May Airport (WWD) and the FAA seems straight out of an eHarmony commercial. FAA needed somewhere to conduct field research about airfield pavement and lighting, and the New Jersey airport had a decommissioned taxiway waiting for a new purpose. The Delaware River and Bay Authority, which manages WWD, teamed up with the federal agency to rehabilitate its abandoned taxiway for research and development work by FAA's William J. Hughes Technical Center. Now that the project is complete, FAA has a new field-testing site, and the fully operational taxiway is available to WWD customers when not in use for research purposes. Jim Salmon, a spokesman for the Authority, was upbeat about the project when speaking to local media shortly after construction began: "We are really happy to be able to partner with the Tech Center to facilitate this project. Every incremental development at the airport is a positive." Renovations to the 3,200-foot taxiway cost about $6 million and were funded completely by the FAA's Airport Technology Research and Development Section. "There was a need for a field-testing site for airport safety and airport pavement-related research in a location that would not interrupt service at a larger airport," says Murphy Flynn, construction manager for the FAA. With construction completed late last year, FAA is using the research taxiway to test new airport lighting systems, pavement monitoring technologies and surface detection systems. 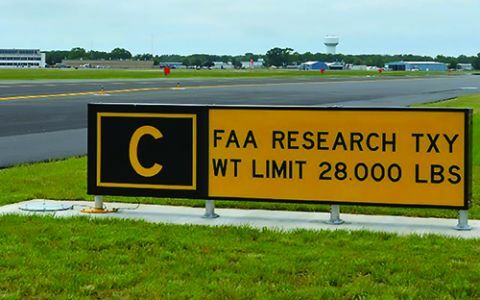 The renovated taxiway allows researchers to set up tests and let them run for days, weeks or even months, notes FAA spokesman Rick Breitenfeldt. Practically speaking, the taxiway is 50 feet wide. But it is 150 feet wide from edge-to-edge of the paved surfaces when its paved shoulders are included. This design feature, along with associated lighting, allows researchers to simulate a runway for testing purposes. Project engineers designed the taxiway with a highly configurable electrical infrastructure that can be adapted to a wide variety of airfield lighting research, notes Flynn. It is also equipped with a complete array of airfield lights, including taxiway edge and centerline lights, runway edge and centerline lights, runway guard lights, runway status lights (takeoff hold lights and runway entrance lights), touchdown zone lights and a clearance bar. The electrical vault is equipped with six regulators. The electrical systems are more typical of a major airport than a regional facility like WWD, observes Jess Nadel, the specialist from Consultant Services International who designed the systems. There is a huge amount of capacity from a conduit power and electrical infrastructure perspective to allow researchers to ramp up their efforts in the future, he explains. The taxiway also has 16 service panels located outside of the taxiway safety area that provide power and ethernet connectivity. This allows the FAA to power test equipment in the field and connect data-collection equipment to the lighting vault-something that doesn't occur at other airports, notes Nadel. 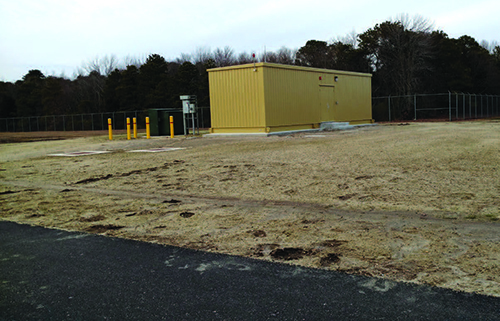 Designers specified a prefabricated airfield lighting vault to avoid construction of this facility on site. The 40-by-11-foot steel structure was fabricated off site and lifted by a crane onto a concrete slab with conduits and utilities already in place. The vault includes an abundance of interior lighting, power and space for housing research equipment. The FAA, airport and construction team broke ground on the project in November 2015, and the job was completed in December 2016. 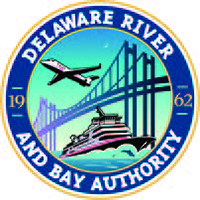 Per a memorandum of agreement between the FAA and Delaware River and Bay Authority, the FAA is entitled to construct, operate and maintain research infrastructure at WWD until Sept. 30, 2030.
a stone matrix asphalt mix with a polymer-modified PG 76-22 binder. Multiple products were installed so researchers can evaluate and compare the long-term aging behavior of the various mixes. "Producing all the different asphalt mixes in small quantities and performing a large amount of quality control testing as part of our experiment was challenging," Flynn remarks. 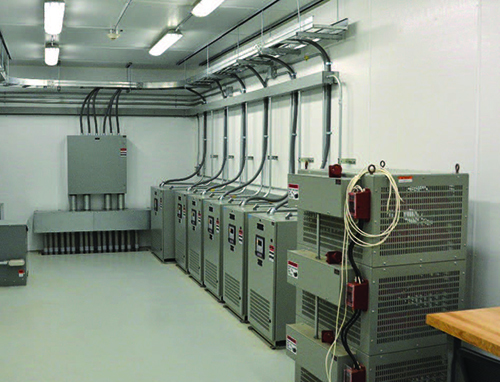 Project engineers added extra conduit power and electrical infrastructure to allow researchers additional capacity for future research. FAA personnel completed their first lighting research project on the renovated WWD taxiway this July. Researchers conducted a series of flight tests of LED aviation obstruction light fixtures by pilots wearing infrared emitters (FAA Type L-810 and L-864). The purpose of the testing was to identify a minimum intensity for the infrared emitters within the fixtures to be seen by pilots wearing night vision goggles. Using results from the research, FAA's Office of Airports published a draft of Engineering Brief 98, Infrared Specifications for Aviation Obstruction Light Capability With Night Vision Imaging Systems. The airfield lighting vault was prefabricated off site and lifted by crane onto a concrete slab with conduits and utilities already in place. Researchers are also acquiring pavement data from the taxiway. General topics include longitudinal and transverse profiles, pavement texture and ground-penetrating radar. The taxiway at WWD gives the FAA Airport Pavement Research and Development Section the opportunity to collect pavement data and compare the relative profile data to known survey elevations.